Graduate engineers in FMCG will develop and manage manufacturing processes to reduce costs and wastage while maximising productivity. The fast moving consumer goods (FMCG) industry provides consumers with essential products to fulfill their daily needs and wants, such as household cleaning goods, toiletries, cosmetics, as well as food and drink products. Companies are commonly divided into two categories: those that manufacture a wide range of products, such as Procter & Gamble and Unilever; and corporations that stick to only one category of products, like L’Oreal (cosmetics and toiletries) and Nestlé (food and beverage). Engineers in FMCG mainly develop and manage manufacturing processes to reduce wastage and cost while maximising output. Thousands of units of a product can come off just one production line every minute, and engineers need to continually develop new machines or processes to keep pace with consumer expectations concerning such products. Sustainability and reliability are two major keywords among FMCG employers. Instead of spending on fancy packages as they once did, FMCG businesses are now more interested in maintaining consistency – investing in machinery maintenance, automation, unmanned systems, and programmable logical controllers to produce a consistent standard. Machinery breakdowns can cause huge losses for this sector. For this reason, engineers working in this sector spend a lot of time developing, improving, and maintaining industrial manufacturing processes, machines, and systems to accommodate the bulk and speed of production. The ultimate goal is total automation – where machines and production lines can be set running and left to operate almost full-time with no human intervention. Expect to work in a fast-paced and high-pressured environment. In spite of that, this industry is a good training ground for beginning engineers as you’ll be exposed to a lot of new challenges every day. You’ll learn a lot about processes, equipment, industrial design, and other job roles over a relatively brief period of time. Typically, graduate engineers will work in small teams, learning technical skills and procedural knowledge as they work alongside experienced engineers on a small section of a bigger project. Many FMCG companies buy ready-made production lines and then customise those for their own purposes, so you may be involved in setting up and optimising a new production line, or performing regular maintenance checks. While most engineering applicants in FMCG tend to have a mechanical, chemical, or electrical engineering background, this should not stop graduates from other engineering disciplines from applying. Most organisations have a graduate training programme that will train you in the necessary skill sets. Aside from technical knowledge, flexibility and leadership skills are also some of the most desirable traits, alongside good decision-making and communication skills. An eye for detail, the ability to work under pressure, and an updated and comprehensive knowledge of the industry are also well-appreciated by FMCG recruiters. Career progression opportunities usually come after a year or two, where you can be promoted to managing a production line and its staff, or to developing and implementing more effective systems or technology. 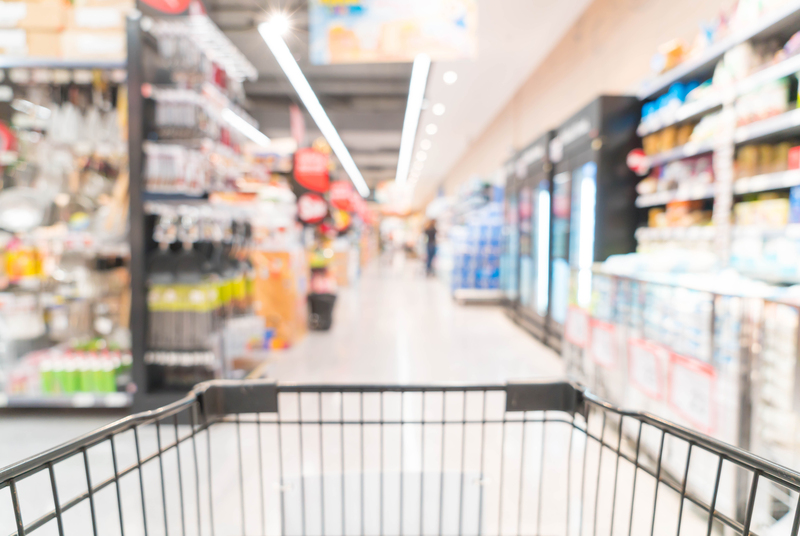 The FMCG industry is both dynamic and exciting, due mainly to the constant introduction of new products into the marketplace, and this is usually a highlight for those who work in the industry. Your coursework internship is a crucial stepping stone for your future career! Here are some tips on deciding on the right company to complete your internship with. Here are some tips for hitting the books and getting professional certifications even if you are working full-time after your diploma. Leave a positive first impression with a professional attire and proper grooming. Graduates working in aerospace engineering can expect to encounter diverse work on incredibly technically-complex projects.